Well kids. It's that time again. Time for my annual Fourth of July Nail Art Fiasco. That time when I take perfectly lovely red, white and blue polishes... Possibly a glitter or two and abuse them terribly in my attempt to celebrate Independence Day on my nails. 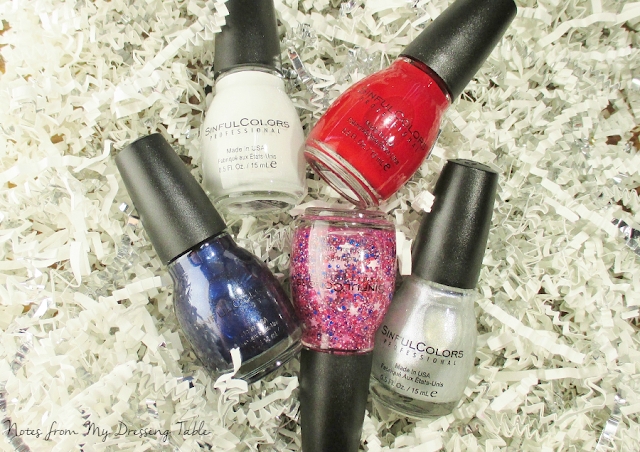 This year's victims are SinfulColors polishes from their Having a Blast Collection. I received these in the mail and decided to use them for a nail art feature, since there are swatches a - plenty to be had. Hot Spot: A navy shimmer crelly. 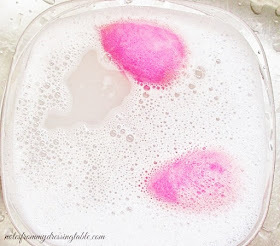 Ruby Ruby: Classic red shimmer crelly. Out of This World: Semi sheer silver foil with a bluish shift. Snow Me White: Crisp white creme. Star Blast Off: Red, white and blue tiny, medium hex and large star mix in a clear-ish base. I don't know if it was tinted pink on purpose or if the red glitter bled and tinted the clear base. Either way, the tint is a bummer, when applied over white. As far as I know, these polishes are repromotes. This is nail art look number one. As usual, I just can't get it right. But doing so would break the tradition and we can't have that now, can we? SinfulColors polishes are $1.99 each and are available at SinfulColors website, Walgreen's, WalMart and other retailers that carry the line. SinfulColors is social! Visit on Facebook. follow on Twitter and stalk them on Instagram. I hope that you all of my fellow Americans have a fun, happy and safe Fourth of July. Don't forget the sunscreen and please, please remember; pets are afraid of fireworks! For their safety and happiness, make sure that they are securely indoors for the shows. They will thank you. I was just thinking I need to my nails and my daughters. She'd definitely love the stars with a little sparkle. Wow, lots of fun Americana going on there! I feel bad coz I just had my nails done and they are Barbie pink. What was I thinking! What a spectacular manis! Happy 4th of July! Your nails are clearly ready for the holiday weekend! Fabulous manicure. I think these polishes are amazing. 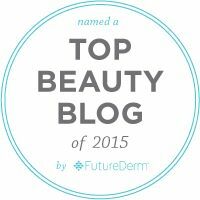 I'm wearing RubyRuby and Hot Spot right now!! I love your nail art creations! Te glitter topper is too cute. Love love love! This makes me wish I was celebrating! Love these designs, especially the stars!! So cute without being childish! These turned out great! It's been so hot here that I can't even muster up the energy to paint my nails so I'm enjoying seeing everyone else's holiday manis. You crack me up!! I like all the nails!! I also used this glitter and the white and silver. I didn't use this glitter on the white, but I sponged it on the silver... so I think I avoided the red tint...we'll see in the morning light I guess! I was looking for the bottle with the stars today. I'm glad I didn't find it with it's quirkyness. I love you're dotticure. I wish I had found Blast off! It's so cute. I love both looks, but the first is my fave. They're both fun, and you're silly. 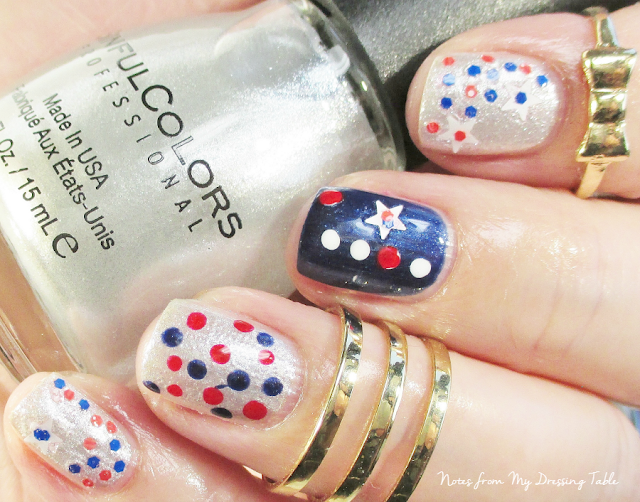 What a fun July 4 mani! 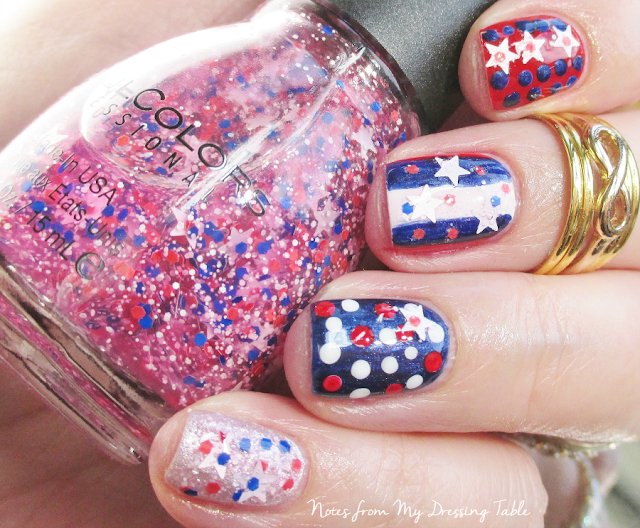 What fun 4th of July manis!